For the past month, I’ve been thinking a lot about Competition. help property buyers and sellers understand what we bring to the table that can benefit them – including our extensive skills and knowledge, our experience, and our professionalism. When property buyers and sellers understand the complexity of buying and selling property, they seek us out and use our services. Just ask Colby Sambrotto, founder and chief operating officer of ForSalebyOwner.com. Sambrotto spent six months attempting to sell his Manhattan condominium through ForSalebyOwner.com and classified ads. He couldn’t do it. In the end, he used the services of a professional REALTOR® according to this report in the Wall Street Journal. Is there good news for 2012? Residential property sales across Canada are forecast to reach 451,200 units, a 0.5% decline compared to 2011. 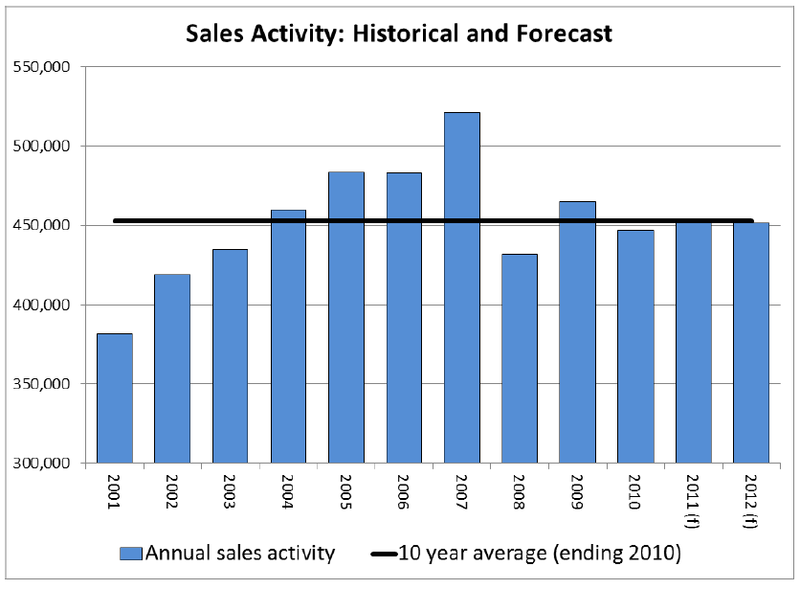 In BC, 80,000 homes are forecast to change hands in 2012, an increase of 4 per cent over the 77,000 2011 home sales.